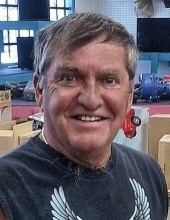 David “Dave” Pippin passed away on November 17, 2018. A memorial service will be Saturday, December 1, 2018 at 2:00 p.m. at O’Connor Memorial Chapel. O’Connor Funeral Home is handling the arrangements. Dave was born on August 11, 1946 in Billings, MT to Dutch and Marie Pippin. He graduated from Billings High School and entered the Marine Corps. He was a lineman for the Montana Power Company from 1970 to 2000. He enjoyed spending time with family and friends. He especially enjoyed the outdoors: fishing, hunting, boating and golfing. Dave is survived by his wife, Terry; daughters Sarah Wells (Matt) and Brooke Summerfield (Jack Wade); granddaughters Hannah, Abby, Stella and Megan; sisters Ann (Jerry) Gibson and Kate (Len) Scott; his second family Bejay (Bret), Brock and Brian; grandsons Boedy and Brandon; and his always loyal best friend, Murphy John Pippin. He was preceded in death by his parents; brother Tracy; and partner Sherrie Boettcher. To plant a tree in memory of David "Dave" Pippin, please visit our Tribute Store. "Email Address" would like to share the life celebration of David "Dave" Pippin. Click on the "link" to go to share a favorite memory or leave a condolence message for the family.